School board members descended on Pierre to don the role of Delegate and do due diligence in determining the legislative focus of ASBSD. 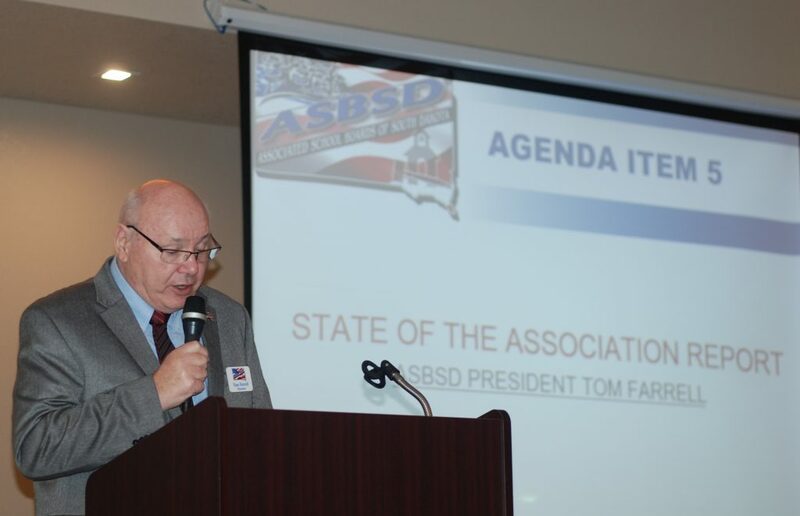 “Delegate Assembly is the time and place to establish your state school board association’s legislative direction and share your district’s view on key legislative topics,” ASBSD President Tom Farrell, of Madison Central, told Delegates in attendance. Establish and share those in attendance at Drifter’s in Fort Pierre did, approving 35 resolutions and 12 standing positions. 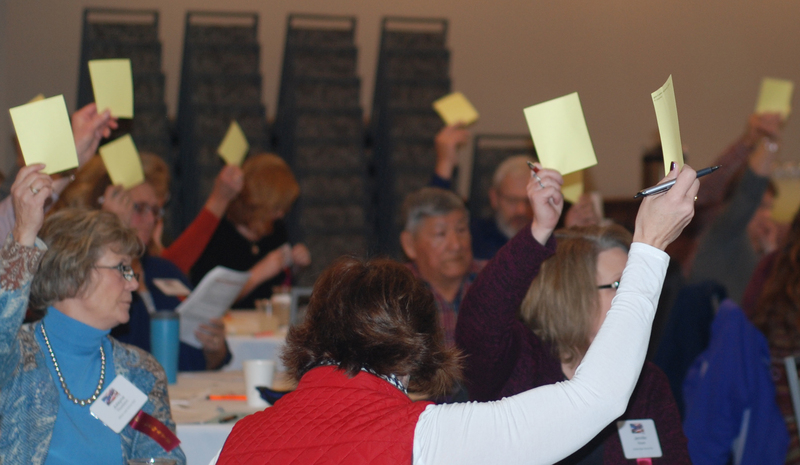 One new standing position – Diversity and Equity – was passed along with the other 11. The latest standing position focuses on ensuring a high-quality education experience and environment for all English-language learners. Download the 2019 ASBSD Standing Positions here. D2: Commitment to the Half-Penny Sales Tax Ratio. Among the new, amended and continuing resolutions, only C7: State Aid Inflation Factor, was changed on the Delegate Assembly floor from its presentation to member schools prior to the event. The amendment to C7: State Aid Inflation Factor, included an amendment to the resolution by adding the line: and changing statute to state: “3 percent or inflation, whichever is greater.” and changing “whichever is less” to “whichever is greater” in the resolution’s rationale. Download the 2019 ASBSD Resolutions here. B9: Behavioral and Mental Health Resources. “Our work as a school board member is never finished and we must take the lead on many fronts to ensure our schools continue to thrive in order to provide a great education for the students of South Dakota,” Farrell said.